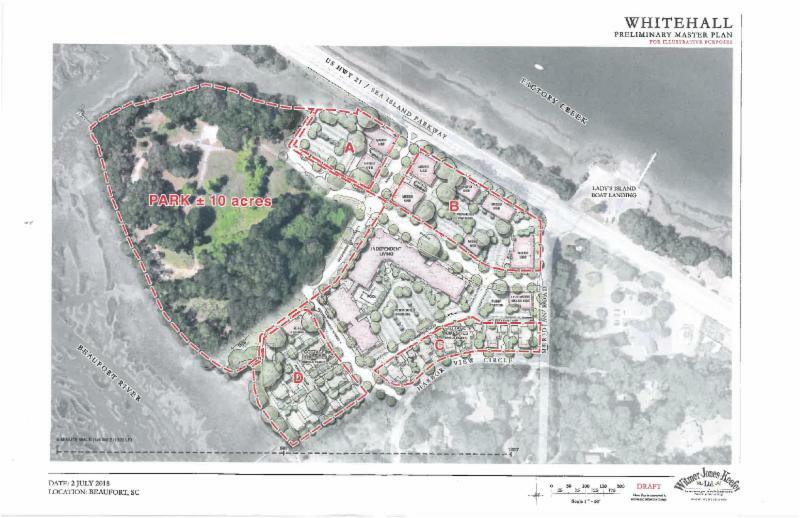 Representatives from Beaufort County Open Land Trust and Beaufort County recently approached Sam Levin of Whitehall Point Holdings, LLC in a final attempt to purchase a portion of Whitehall for public open space before construction commences on the approved development. Mr. Levin agreed to consider the possibility of the sale of up to 10 acres of the western waterfront portion of Whitehall that overlooks the Beaufort River and Henry C. Chambers Waterfront Park. County Council discussions regarding the possibility of protecting and using the Whitehall property for a public park have occurred at least as far back as the 1960’s. Development on the Whitehall property has been planned numerous times by developers. Each time, the land value went up along with the density requirements to make developing it economically viable. Beaufort County residents have long realized the value of this property, citing it as ‘a treasure,’ ‘priceless’, ‘irreplaceable,’ ‘beautiful historic land’ and ‘idyllic’ during a public comment period in 2017 prior to a proposed re-zoning which would have increased the allowable density on the property. 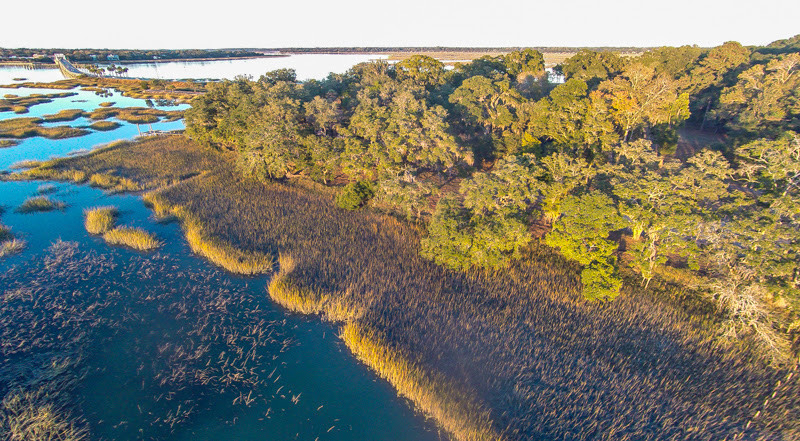 Whitehall is the only piece of property in Northern Beaufort County of its kind - the only waterfront property remaining that could serve as a useable public waterfront park connecting Lady's Island to the Henry C. Chambers Waterfront Park. With 850' of walkable waterfront, the 900’ pedestrian/bike trail and ample parking, it can be one of the most connected, accessible and useable public parks in downtown Beaufort. If 10 acres of this property were to become a park, it would remove almost 70 approved residential units and their associated impacts. 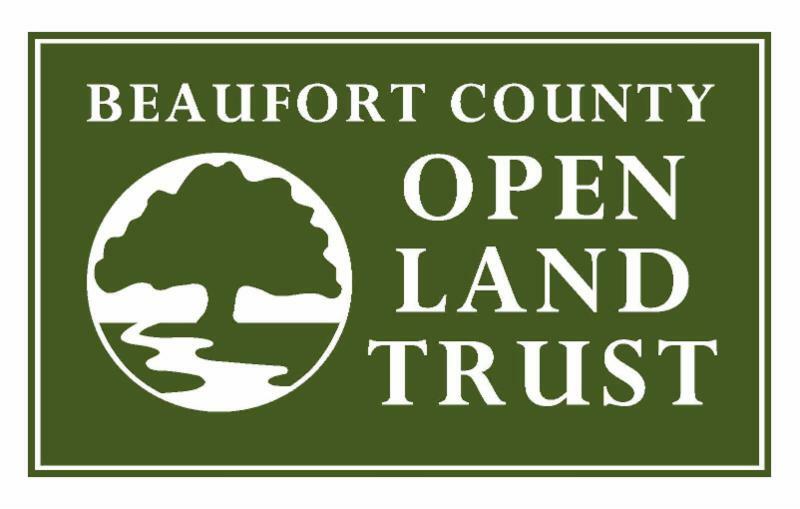 The Beaufort County Open Land Trust is working with Beaufort County, The City of Beaufort and Whitehall Point Holdings to make this park a reality by negotiating a price that does not exceed the appraised value of property. 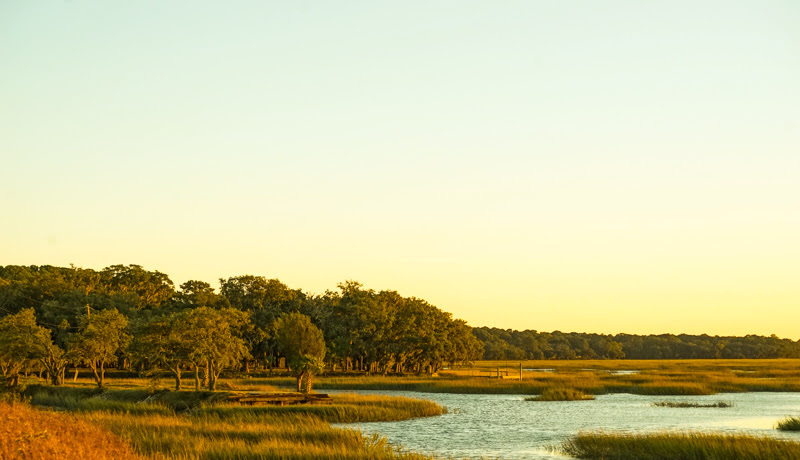 The spirit of this combined partnership is to preserve this last piece of critical land and to enhance and protect the quality of life in Beaufort for future generations.